To be effective, this force must exceed the material’s elastic limit in order to change its structure. However, the metal is typically not forced past its tensile strength as that would result in fracturing or cracking. As the process of cold forming, or cold working, does not cut any material away in order to form the new part, there is a minimal amount of waste product resulting. This lowers the costs of raw materials as they are able to be used more efficiently. Cold forming can be used with many metals including brass, copper, bronze, aluminum, nickel alloys, steel and stainless steel as well as other precious metals. 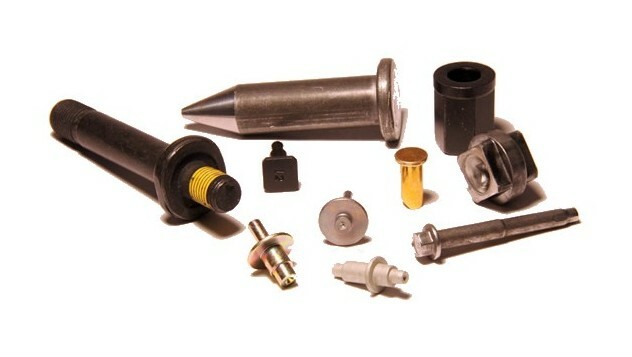 Cold headed fasteners and components have been produced by the cold forming process for many years. The machinery used typically consists of a horizontal press and a gripping die. Impact extrusion is used to force the metal plate, sheet, strip or wire into the die in which its shape is altered. Cold forming is often used as an alternative to hot forging or casting and stamping processes. Although cold forming is not always the most practical solution for the manufacture of complex parts, there are numerous other benefits to choosing cold working manufacturing processes. The reduced need for machining, both primary and secondary, saves operational time and results in high turnover speeds. There is a consistency to the parts produced using cold forming, as well as an increased strength to weight ratio thus improving the mechanical component properties. Cold forming allows for unique and diverse simple shapes to be produced with minimal material wastage. 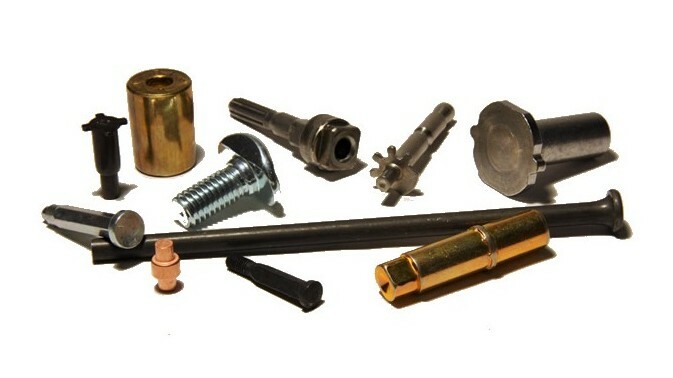 Cold headed parts such as fasteners are most commonly produced using this process; however it can be used to produce other components such as spark plugs or axles. The cold heading process is also used to make the heads on cylindrical parts such as screws and bolts which are used to secure two components together. Cold forming or cold roll forming is often a more cost-effective manufacturing process than traditional metalworking due to numerous savings in terms of raw materials, secondary finishing processes and not needing to produce high amounts of heat energy in order for the process to occur. Today’s cold formed parts are manufactured by automated equipment that can quickly produce accurate and consistent parts. Cold Forming Cold forming is a metal working process by which small, simple parts are produced. Unlike traditional metalworking processes, cold forming does not use heat. Instead, high pressure and/or impact is applied to the metal blank in order to shape it.